I’m always on the lookout for healthy products for my family. That’s because I truly believe that it’s what we put into our bodies that brings us all sorts of illnesses. Well, of course, some of us are predisposed to certain diseases because of our genetic makeup, but that should encourage us all the more to try to live healthy lives. Both my parents have high blood pressure, and my mother has type 2 diabetes. I don’t want to inherit any of those ailments, which is why I’m so conscious about my health. When I do my grocery shopping, I make it a point to visit the health and wellness aisle of the supermarket to look for healthy and nutritious items to purchase. That is also why when the Sales/Marketing Manager of WOHL Dietary Products, Inc. (WOHL) asked me to review their products, I said yes right away. WOHL is a Filipino-owned nutraceutical (short for “nutrition-pharmaceutical”) company that develops quality food supplements using the finest natural ingredients backed by solid research. WOHL works with premier research institutes and universities around the globe to bring us quality dietary supplements. WOHL also partners with Frutarom, the world leader in fine ingredients, and Beneo-Orafti, the top producer of functional food in Europe, to help fulfill its vision of good health worldwide. WOHL likewise adheres to one of the highest standards for food supplements –that of the European Union— so we are all assured that WOHL products are safe and effective. I received all three products of WOHL last week, which are as follows: SmokeLess, Kids Yummy Veggies and ErvaTrim. SmokeLess is a stress-free way to quit smoking. 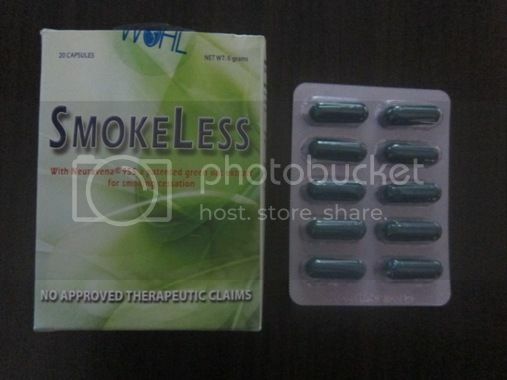 Three capsules of SmokeLess every day is what you need to significantly reduce the average daily number of cigarettes you smoke. SmokeLess helps you kick the smoking habit by balancing your brain enzymes and brain waves to help you cope with withdrawal symptoms. SmokeLess is made of natural ingredients. Neuravena EFLA® 955, SmokeLess’ main ingredient, which is manufactured by Frutarom, is derived from Avena Sativa L., a wild green oat extract that is clinically proven to improve mental alertness and performance during stressful situations. SmokeLess is also nicotine-free. This ensures that that the user will not be dependent on the addictive chemical anymore. If you have a kid like mine who doesn’t want to see vegetables in his food, then Kids Yummy Veggies is the answer to your problem. My son has been on Kids Yummy Veggies for 4 days now. We’re mixing it with his cereal drink in the morning, and he doesn’t notice it. 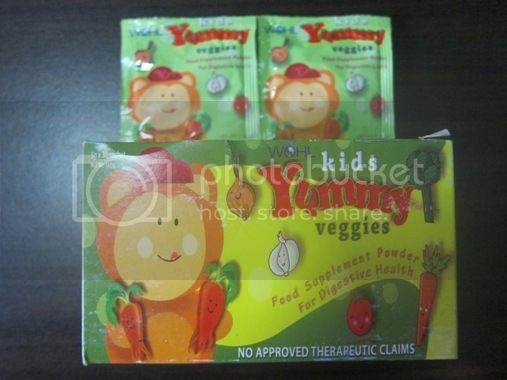 Kids Yummy Veggies is a flavorless powder that blends well with your child’s favorite dishes and drinks. One sachet a day is what you need to put more fiber and vitamins to your child’s diet. Kids Yummy Veggies is good for the tummy and body because it has Inulin, a prebiotic made from the Belgian chicory root, which helps the growth of good bacteria in the colon. Inulin promotes good digestion, aids in the absorption of essential nutrients, increases resistance to gastrointestinal diseases, boosts immunity, decreases fat absorption and prevents constipation. You can also get in shape the natural way with ErvaTrim. What makes ErvaTrim different from other slimming agents is that it doesn’t take out the nutrients in the body to lose weight. 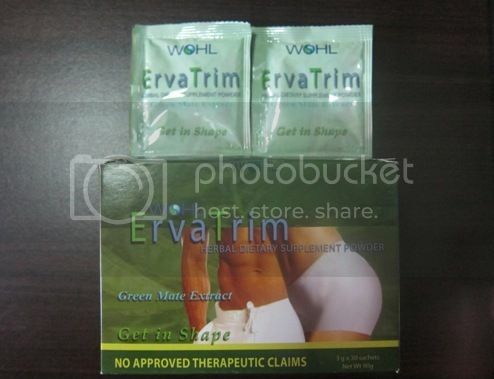 Just take one sachet of ErvaTrim with hot water every day, and you’re on your way to a slimmer you. If you combine ErvaTrim with proper diet and exercise, you’ll produce noticeable results in just two weeks! ErvaTrim’s main ingredient is Green Mate EFLA® 920 (also called Yerba Mate or Erva Mate), a plant found in South America, which is clinically proven to treat obesity. ErvaTrim actively suppresses appetite while burning stored fat into energy. Aside from preventing obesity, ErvaTrim also reduces LDL-cholesterol levels, increases the respiratory quotient, increases metabolism and is also an effective antioxidant. 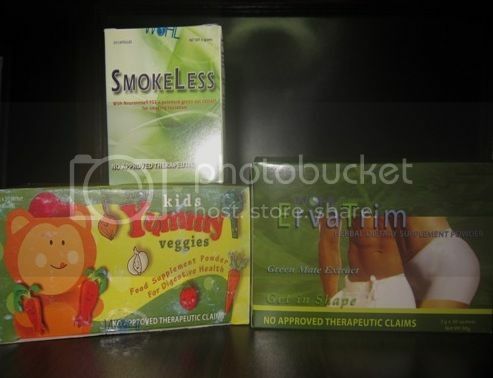 SmokeLess, Kids Yummy Veggies and ErvaTrim are available at Mercury Drugstore, SouthStar Drug, Rose Pharmacy, Mega Generics Pharmacy, Joan’s Pharmacy and other leading drugstores nationwide. This entry was posted in ErvaTrim, Kids Yummy Veggies, Natural Dietary Supplements, Natural Food Supplements, SmokeLess, WOHL. Bookmark the permalink. SmokeLess looks promising! There’s this one person close to me whom I would like to get to quit smoking, as he smokes like a chimney!